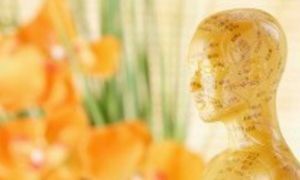 Acupuncture's safe, gentle and effective techniques have been used for thousands of years. Here's some reasons why you may want to try True Health Accupuncture to improve your health. Unlike drugs and surgical procedures, acupuncture does not have disturbing side effects–In my experience, feeling great is the most commonly reported side effect. No two people are alike. Thus, you will never be treated as just another case of “X” syndrome. Just because two people experience the same symptom, does not mean that the root cause is the same. The bonus of this kind of treatment is that other challenging symptoms or imbalances within the body will often improve as you develop greater vitality and thriving health. I want to get to know you. This allows me to deliver highly personalized patient centered care. You will not feel rushed to try and explain your concerns in a quick sound byte. Many people come in our office with odd constellations of symptoms that don’t make sense in terms of Western diagnosis. Sometimes they’ve been told that nothing can be done with conventional medicine or that the issue must be “all in your head because we can’t find anything on a blood test, MRI, x-ray, CAT scan etc.” Acupuncture often effectively treats syndromes or symptoms that don’t have a clear explanation or treatment protocol with conventional medicine. Acupuncture is powerful preventative medicine, so you don’t have to wait for something to go wrong to receive benefits. Acupuncture is best utilized as part of a person’s overall commitment to health and well-being and is most effective when combined with solid nutrition, regular exercise, adequate sleep and rest. ...like depression as it is at treating physical symptoms like chronic pain. In other words, I see great results treating the person who limps into my office with radiating back pain, and the person who walks in saying, “there’s nothing physically wrong with me, I’m just really stressed out and perpetually unhappy all the time,” also has great results from treatment. I spend a lot of time laughing with my patients. Laughter is definitely one of the best medicines to lift the spirit and mobilize the well documented health benefits of being positive. Life sometimes comes with profoundly difficult challenges. But the fact remains that none of us are getting out of it alive. Why not be a little light-hearted and share some good laughs along the way? 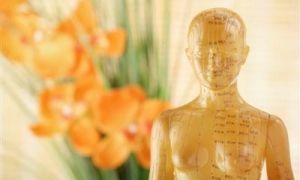 So you are less likely to need conventional medicine as often – most acupuncture patients report that they feel a greater sense of well-being, get sick less often and are less affected by life’s stressors than they were prior to beginning treatment. Acupuncture is relatively inexpensive when compared to modernized forms of health care. Consider these numbers: Blood pressure medication can cost $1,000 in a year’s time. One MRI can be anywhere from $1,000-$4,000. Minor surgeries cost upwards of $10,000. Major procedures, like open heart surgery, are about $100,000. The diagnostic process leading up to surgery combined with post surgical care stack the costs considerably higher. Most physicians agree that these costs can be avoided by making lifestyle changes and adopting a preventative mindset. Without insurances coverage, a single major health event could easily bankrupt the average American family. Not that I am recommending that you do something merely because it’s hugely popular, but since roughly 2 Billion people on the planet depend on acupuncture and Chinese medicine to keep them healthy, there might be a good reason for you to consider it too! Yes, absolutely! Acupuncture can be highly effective for many of the common discomforts of pregnancy and is safe and free of side effects. Some of the most commonly addressed concerns during pregnancy are; nausea/vomiting, heartburn, constipation, varicose veins, hemorrhoids, urinary tract infections, threatened miscarriage, fatigue, insomnia, anxiety and depression, back and hip pain, itching, edema, and breech or posterior positioned babies. Acupuncture can also help to prepare a woman for labor and delivery by relaxing the mind and encouraging the ripening and effacing of the cervix.